On the corner of 14th St. & Central Ave.
Dr. Bailey is a graduate of the University of California at Davis, graduating with a Bachelor of Science in Physiology in 1982 afterwards completing a year of graduate work in education. Continuing his education, he graduated from California College of Podiatric Medicine where he received a Bachelor of Science in Basic Medical Science in 1985 and Doctor of Podiatric Medicine in 1987. Since relocating to Ashland in the summer of 2000, Dr. Bailey has been an Adjunct Professor employed with Ashland Community College teaching anatomy & physiology. 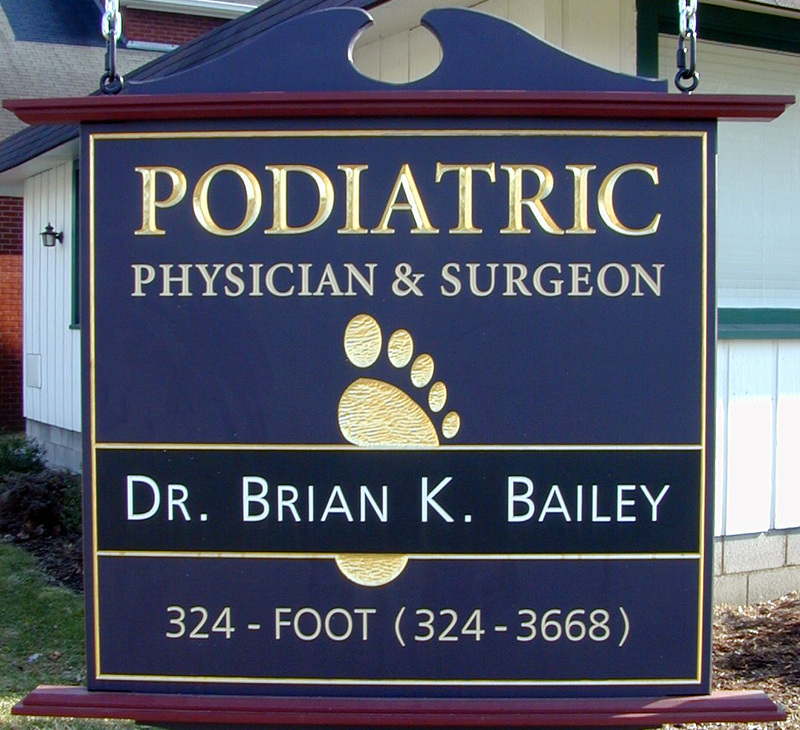 Dr. Bailey is also Clinical Professor of Podiatric Medicine and Surgery at Pikeville College, School of Osteopathic Medicine. He has students and residents rotating through his office. After the publication of his book in 1997, “Secrets to Happiness, Inner Peace and Health,” he continues to give health consults on diet, fitness, and supplements for natural healing, weight loss and rejuvenation. Body-Mind-Spirit Podiatric Center is fully equipped with state-of-the-art X-ray equipment, ultrasound and computerized Doppler for arterial and venous circulatory exams and is also ADA friendly. Patients will feel at home at Body-Mind-Spirit Podiatric Center in an environment that is serene with comfortable seating grouped in a way that stimulates conversation with walls painted in mellow blue, beautiful artwork by James Christensen and a cozy fireplace with ample room to spread out. While waiting for their appointment with Dr. Bailey, patients will enjoy cable TV with all the popular channels, up-to-date magazines, educational literature that allows them to be more active in their treatment and helps them to ask the right questions when they are in the exam room. There are several 2-hour limit parking spaces available directly in front of the office on 14th Street and a handicap parking space on Central Avenue just steps away from the newly installed handicap ramp that leads to the front entrance. Accommodated with pads or custom molded devices and shoes.